Leslie Ford’s stellar pitching over the past weekend earned her softball Player of the Week honors in the Jayhawk Conference. Allowing just two earned runs in 27 innings, Ford was 2-1 as the Lady Blue Devils won 2-0 and 6-1 at Hesston and split at Hutchinson, losing 2-0 and winning 7-3. Ford gave up just three hits, struck out eight and walked one in blanking Hesston 2-0. 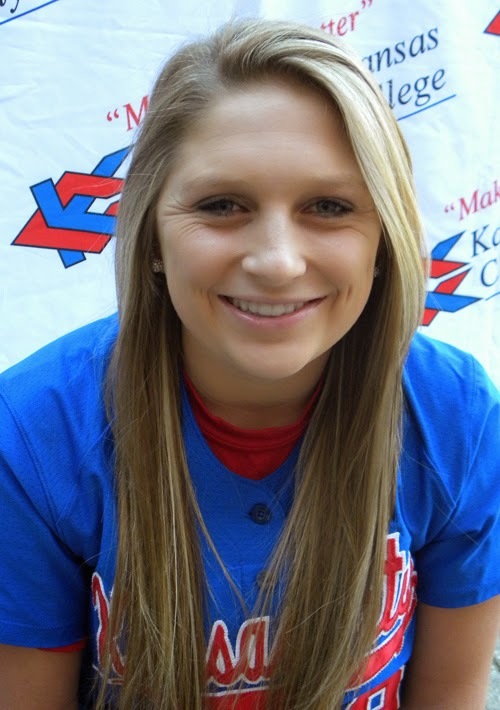 After giving up six hits and the only two runs she surrendered over the weekend in the 2-0 loss to Hutchinson, Ford came back and pitched 5 2/3 innings of 3-hit relief in KCKCC’s 7-3 nightcap win.